This paper presents a non-consequentialist defense of Rawls’s general conception of justice requiring that primary social goods be distributed so that the least share is as great as possible. It suggests that a defense of this idea can be offered within a Rossian framework of prima facie duties. The prima facie duty not to harm constrains people from supporting social institutions which do not leave their fellows with goods and resources above a certain threshold. The paper argues that societies in accord with the Rawlsian general conception come closest to meeting this requirement. This way of arguing for the conception enables the defenders of the theory to elude standard objections offered by utilitarians, libertarians, and even other egalitarians. I have a lot of people to thank in this paper. The debts to Rawls are obvious as are those to work by G. A. Cohen, in as much as it was suggested to me by reading his criticisms of Nozick’s treatment of original acquisition and the key idea, that one can harm by removing opportunities is come from that discussion. One might even wish to think of this as Cohen’s argument for the maximin principle, except that he would dissent from the conclusion and several of the premises. Many people took the time to comment on earlier drafts of a related paper and on this one. Daniel Shapiro commented on a presentation of a related paper at the April 1996 American Philosophical Association meetings in Chicago, at a session chaired by James Sterba. 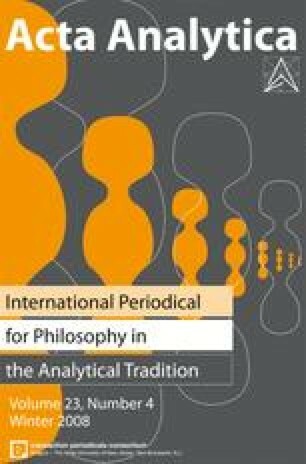 Versions of the ideas in this paper were presented to the Kansas State University Philosophy Department in January of 1997, and at the Bled Philosophy Conference in Bled Slovenia in June of 2008. Audience members were very helpful on each occasion. Robert Audi, Luc Bovens, Sarah Buss, Jean Cahan, Al Casullo, Tom Christiano, Eric Chwang, Andrew Jason Cohen, Michael Green, Jennifer Haley, Gil Harman, Phillip Hugly, Harry Ide, Joe Mendola, Thad Metz, Lex Newman, James Nickel, Alastair Norcross, Neven Petrovi_ and Charles Sayward all gave me useful comments of various sorts, sometimes more than once. Finally, I should thank the Research Council of the University of Nebraska - Lincoln for summer fellowship support. For purposes of this paper I am using ‘Maximin Principle’ as a name for the principle that says that certain social goods—including resources, rights and liberties—should be distributed so that the least representative share is as great as possible. As I read Rawls this is his general conception of Justice. (See Rawls (1971) pp. 60–65). I am aware that the name is also used for different related principles but that is not the way I’m using it here.